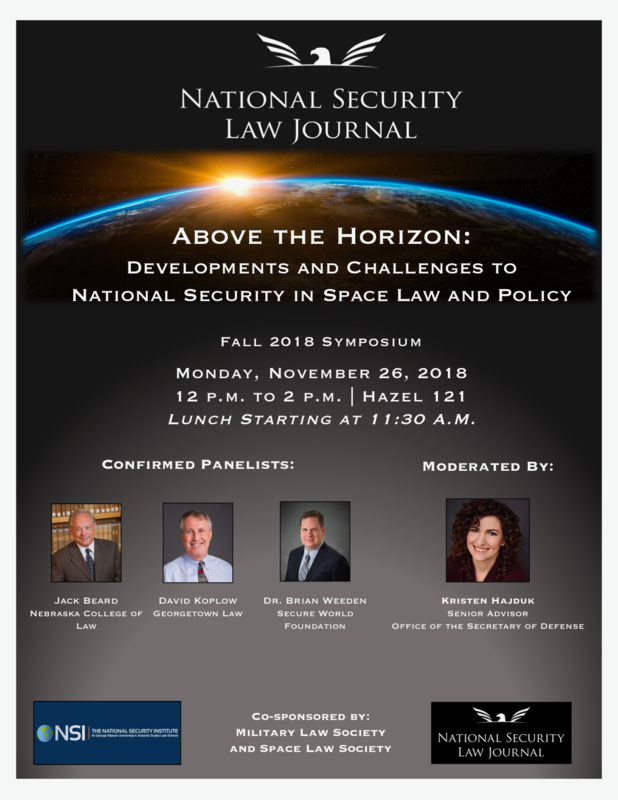 The National Security Law Journal will host its Fall Symposium titled “Above the Horizon: Developments and Challenges to National Security in Space Law and Policy” on November 26, 2018, from 12-2 p.m. at Antonin Scalia Law School. 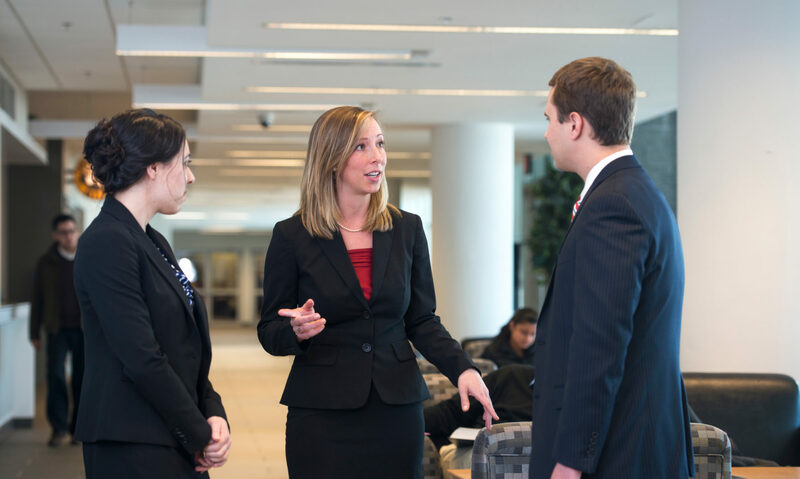 Lunch will be served beginning at 11:30 a.m. 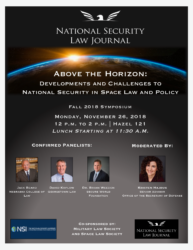 Thank you to our co-sponsors: The National Security Institute, Military Law Society, and Space Law Society.